Thank you for signing up to join us for the Garden Party potluck dinner at 5 p.m.
Plant sale and silent auction start at 2 p.m.
"Bring wetlands home with wetlands in your landscape." 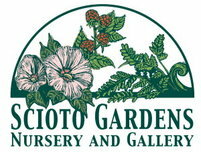 Special thank you to Cardno Native Plant Nursery for donating wetland plants for the plant sale! native plants for the plant sale!